Hard as a rock. – Where Is My Teaspoon? You’ll need a good baking sheet for this recipe so find one and LINE IT UP with some baking paper, this will make things really simple later on. Also, now is the time to preheat your oven to 190 degrees or gas mark 5. The easiest way to do this recipe is to use your electric whisk. Put your eggs in a bowl and add your sugar and vanilla extract. You’ll need to whisk the two of these together until light and fluffy. This will take about 5 minutes, so play a song from start to finish to get your timing right. Once you’ve done this, leave to one side and mix your flour, baking powder, ground almonds and salt in another bowl. Then, add your dry ingredients to your egg mixture and beat together. Now you’ll have a stiff, wet dough. Some recipes say you should add your chocolate and beat in with a spoon but honestly, if you want it to turn out great I think it’s best to get your hands into the dough in order to incorporate the chocolate. Yeah, it’s a bit messier but I think it works so give it a go. Once your chocolate is all mixed in, put your dough on a lightly floured surface. Divide it into two. Take your first half and shape it into a rectangle, you want it to be at least 3 in wide and maybe an inch thick if you want to get sizes similar to my photos. 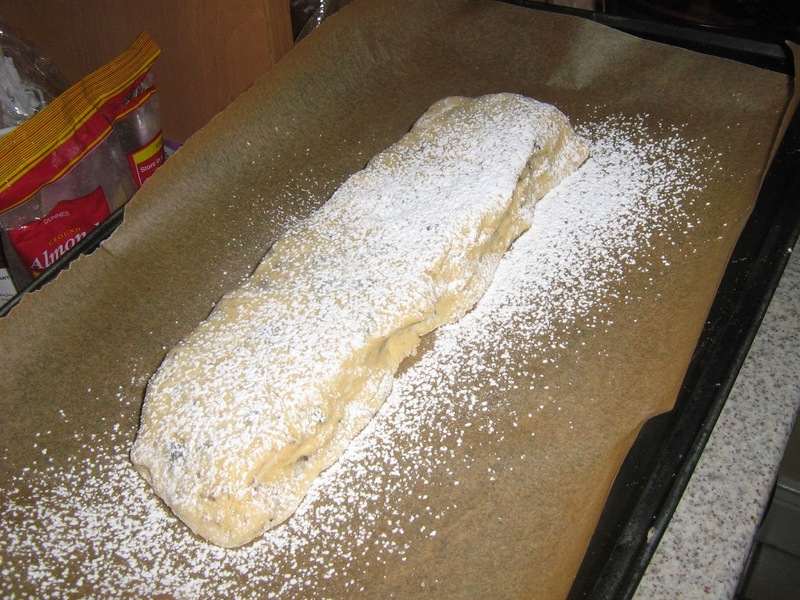 Dust icing sugar over your rectangle and place gently on your baking tray. Bake this for 15 minutes or until golden brown. You’ll probably be able to see your chocolate melt on top. 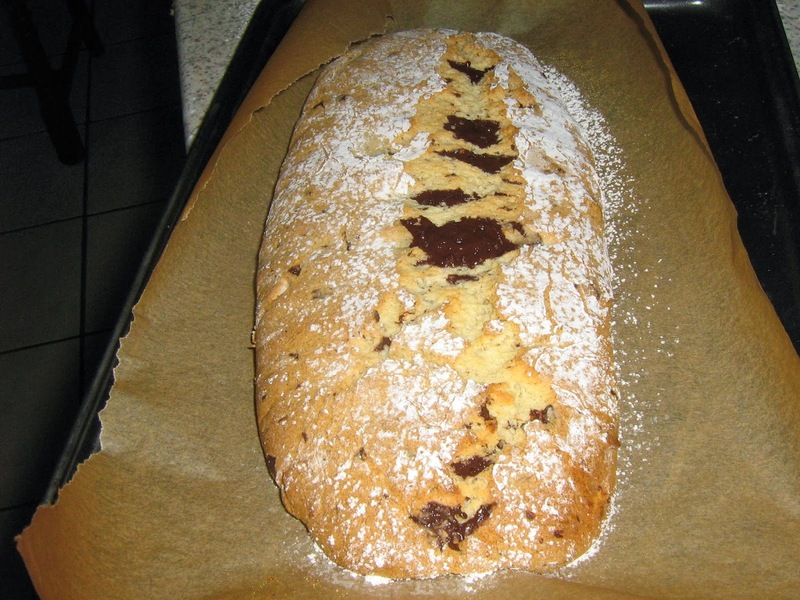 Once you’re happy with it, take it out of the oven and lift the baking paper (and your biscotti) off the baking tray and leave it on your counter. Leave it to cool here for about 10 minutes or so. It’s important to let it cool and not go in guns blazing – otherwise you’ll only break it. 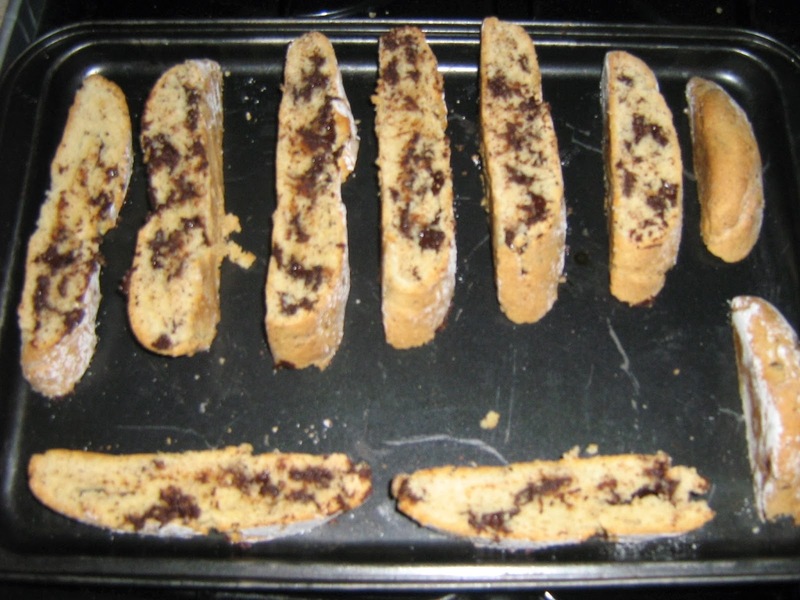 Once the 10 minutes have passed, get out a bread knife and start to cut your biscotti into diagonal slices – not too thick though! Now, you’ve cut the whole thing, grab your baking tray again and place each slice cut side down onto it. You need to place the tray back into the oven for another 10 minutes but lower your heat slightly. I usually go down to about gas 3 or 4 but just keep an eye on them, you don’t want them to burn but if you want them to be really hard and crunchy then you’ll need them to be in the oven a good while. After 10 minutes, take them out and turn each slice over. They now go back into the oven to bake on this side for another 10 minutes. Annnnnnnnnnd now they’re done! Leave them to cool a few minutes before you tuck in – grab your hot drink of choice and enjoy. But, don’t forget you have the other half of your dough to do as well – get cracking! Also make sure to store your Chocolate Chip Biscotti in an air tight tin or else they won’t be hard at all. 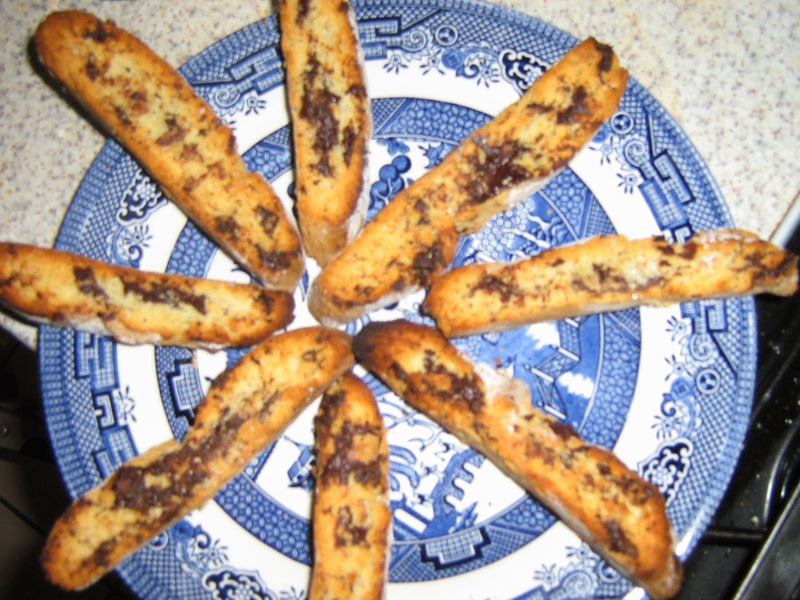 Really hope you enjoy this post, while I was making them earlier I broke my teaspoon. Things never go simply. Previous Post Roses won’t save the world.